As a south Indian farmer said, “soil is the mother of agriculture, the mother of life”. And 2015 is the International Year of Soils. So now is an appropriate time to look again at soils that are so fundamental to agroecology and family farming. Soils are not only the foundation for agriculture, livestock production and forestry, they also supply clean water, capture carbon dioxide from the atmosphere and provide many other ecosystem services. However, these functions are jeopardised as many soils are becoming increasingly degraded. Soils are healthy when they contain an adequate amount of organic matter such as living, dead and decomposing plant material, and soil life like earthworms, insects and microscopic organisms. Healthy soils can retain more water and hold more nutrients. With climate change leading to more frequent and longer-lasting droughts, this is becoming more important than ever before. Farmers can increase organic matter content by leaving crop residues in the field, mulching and planting cover crops. The 2015 International Year of Soils is an excellent occasion to draw attention to the crucial importance of increasing soil health. Realising that organic matter and soil life increase their productivity and resilience, family farmers around the world work hard to ensure favourable soil conditions. 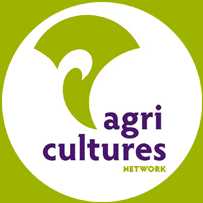 Farming Matters invites you to present such grassroots experiences in its first issue of 2015. What strategies are farmers using to manage organic matter and enhance soil life? What problems do they encounter and what benefits do they reap? Do you know farmers who have successfully gone through the transition process towards healthy soils? What can farmers, scientists and policy makers learn from successes and failures in these transition processes? We look forward to your insightful stories and practical evidence. Articles for the March 2015 issue of Farming Matters should be sent to the editors by 1 December 2014.